Potatoes can be made into so much more than just chips or boiled spuds. This variation is one of my favourites, and is far from dull. It can make an ordinary meal into something that little bit more special, and can look quite good on a plate of food for a dinner party. I’ve used wild garlic here, but if you can’t get your hands on that, you can use 1 clove of garlic (finely chopped) and 2 spring onions (also finely chopped) instead. If you can, leave the skin on your potatoes; just give them a good scrub instead of peeling them. Most of the vitamin goodness in the potatoes is located just under the skin, and by peeling them you lose this. The skin also contains a lot of flavour, which it would be a shame to miss out on. Personally, I also think that the skin is rather pretty on thinly sliced tatties. Of course, if your potatoes are last year’s, and the skin is really though, then by all means do peel them. For an extra special treat, replace some of, or even all, the milk with double cream. 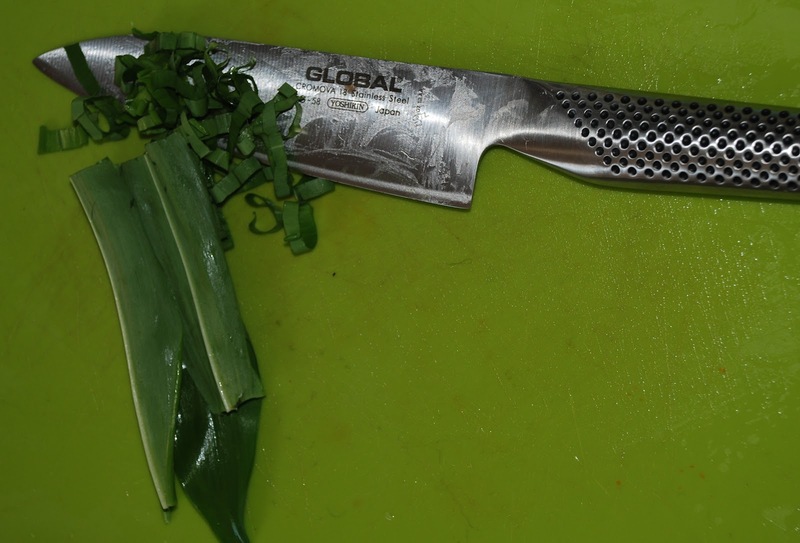 Finely slice your potatoes, and chop your wild garlic. Butter the sides of a small heat-proof dish. Layer the potatoes and garlic in the heat-proof dish. 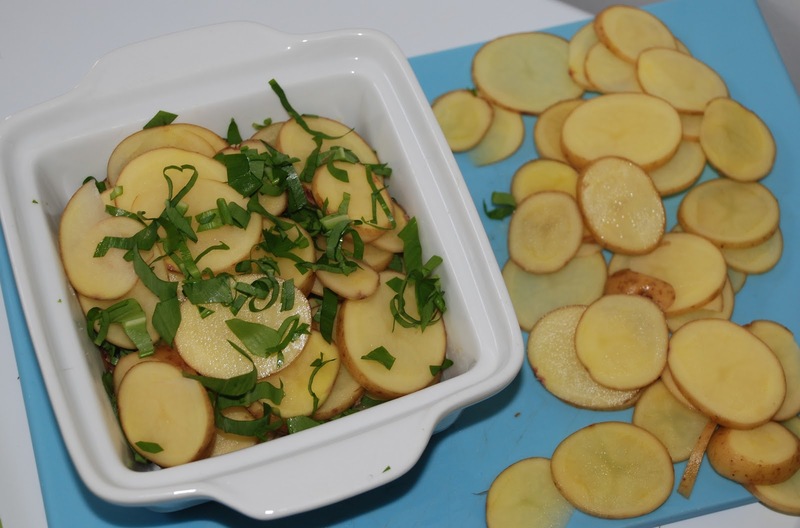 Make sure the top layer is potatoes, as the wild garlic will get burn if left exposed to the heat of the oven. Cut the butter into little blobs, and place on top of the final layer of potatoes. Pour over the milk, and place the dish in the oven. It can be a good idea to place a baking tray under the dish; as otherwise the milk can easily get splattered at the bottom of your oven if it boils over. 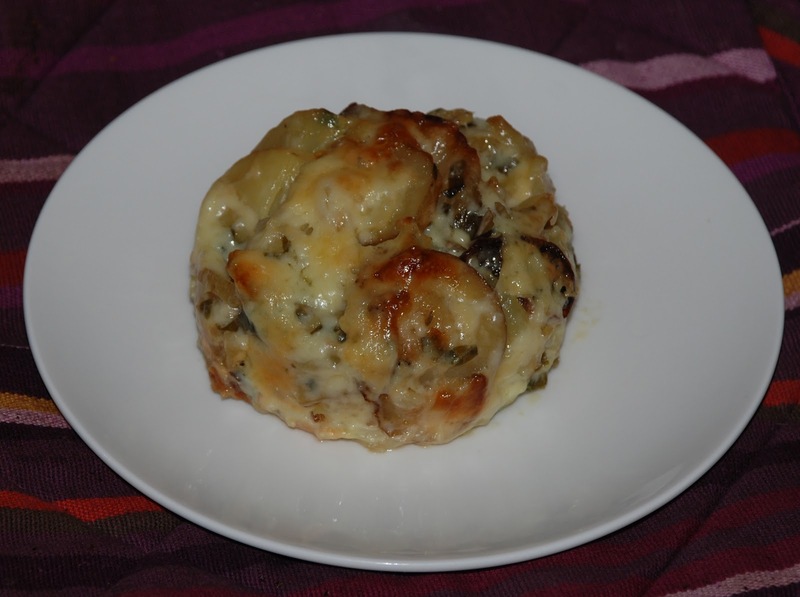 Bake the dish for about 1 hour and 30 minutes, until the potatoes are soft when you pierce them with a knife. Grate the cheese and sprinkle it over the potatoes. Place the dish back in the oven for about 10 minutes until the cheese is melted. 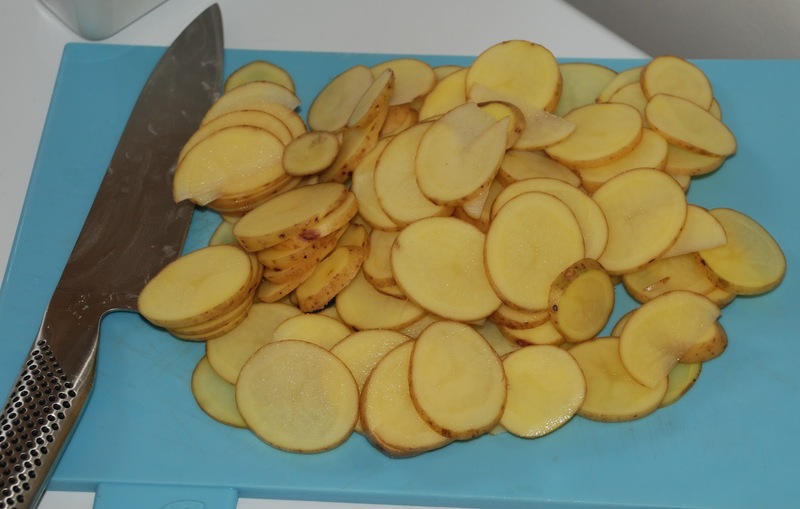 You can either serve the potatoes in the heat-proof dish, or you can use a food ring to cut out portions and serve straight onto your plates.